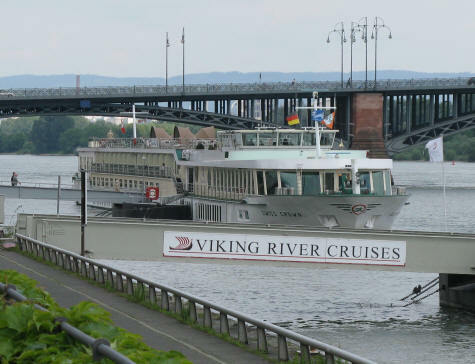 Viking River Cruises is a cruise line company that specializes in river cruises in Europe and elsewhere. Viking's seven day Rhine cruise visits the following towns and cities: Amsterdam, Basel, Braubach, Breisach, Cologne, Heidelberg, Koblenz, Rüdesheim and Strasbourg. There are a number of companies that offer this type of cruise package on the Rhine.